2. A blood sugar level chart can help track blood sugar levels both after fasting and after eating, and may be very helpful to your physician. Notations on foods eaten will show how these foods affect your blood sugar levels, and can help your doctor determine the best treatment for you. 3. Always fast for at least the minimum amount of time specified for the fasting blood sugar test you are having done. If you cheat and have a morning snack this can cause your levels to go up higher, and may cause your physician to diagnose you with diabetes when you do not have this disease. 4. Knowing your normal blood sugar levels is important, and you should also be aware of the high blood sugar symptoms. This will allow you to get help if any medical complications occur. 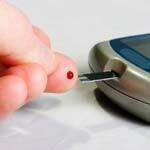 A glucose tolerance test may be done as well as the sugar level test, to evaluate how well your body handles glucose. 5. You can have water before a fasting blood sugar test, as long as it is plain water without any flavor or sugar added. In fact you are encouraged to drink water, because it is harder to draw blood if you become dehydrated. 6. One of the consequences of blood sugar too high is full blown diabetes, and possibly insulin shots to control this condition. If your fasting level is 125 mg/dL or above you are considered diabetic. 7. Normal results for a fasting blood sugar test should be less than 100mg/dL. If the results are higher than this it can be an indication that there is a problem which could eventually lead to diabetes. If the results are lower than 70 mg/dL this can indicate hypoglycemia, which can also be dangerous and cause complications.